For Leadership Tango dancing and other motivational boosters that can help you get through a tough day! Today started off as a day where I had pretty much zero motivation! It doesn’t happen often, but it happens. People that move from employed to self-employed, often working from home, struggle to be super focussed, self-motivated and push forward to grow a business. Whether you work for yourself or are employed by someone else, being able to motivate yourself is key to success. Here are some of my personal motivation boosters and yes I did use number 2, 3, 4, 6, & 8 today! TIP 1 – Take a day off. If it stops being fun just take a day off. This is not always possible. But many times, it is. Sometimes we just need some time out. A day off helps you to find your fun. TIP 2 – Stop work briefly and organise some fun things. I did this today. I stopped and started researching some fun things I’d like to do. 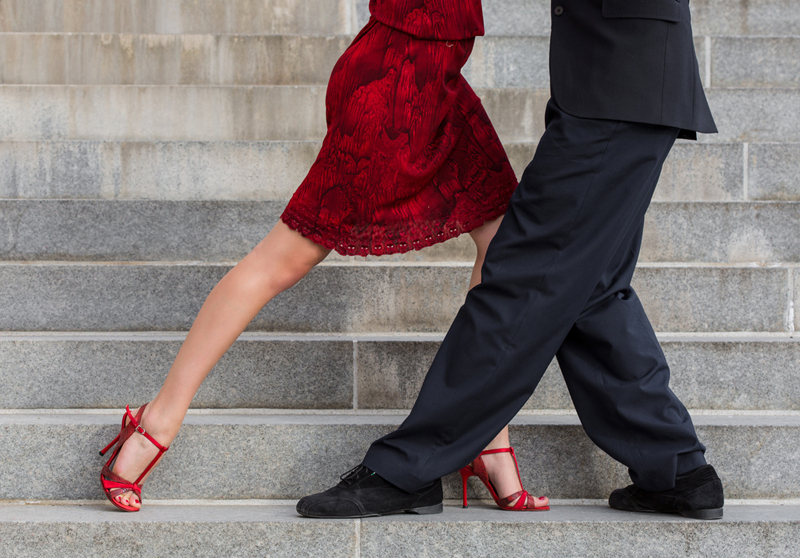 I now have a plan for this evening and have found Argentinian tango dance classes around the corner (something I have dreamt of learning for years). Classes start in 4 weeks! My husband has agreed to come along with me. Exciting! I am also booking a trip to the theatre to see a comedian. Fun things help motivate us because work is in itself not the end, but just a part of life. This could help you be motivated with work again. TIP 3 – Pick work that feels easy or most interesting in the moment. If feeling particularly stuck, uninspired or demotivated with work I am doing, I stop and choose some work that I feel better about doing. This is in fact what I am doing now. I LOVE blogging. I love sharing my wisdom in articles. I LOVE writing. What work do you love doing? Give yourself a boost by allowing yourself the luxury of doing this when you need a motivation boost. TIP 4 – Shift the atmosphere with thankfulness. I teach a lot on this. We have the power to shift atmospheres whether they are around us or in this case coming from us. Some of the ways I do this are to spend time journaling 50 things I am thankful for. I tend to make these things recent things, ideally things to be thankful for today. I journal about things I feel from my heart, not generic statements. So instead of ‘I’m thankful for my health’ I will think specifically what I am thankful about to do with my health and list them. Instead of saying ‘I’m thankful that Jesus saved me’ (which of course I am), I will instead start to thank Jesus for specific things that He has saved me from and for specific areas I am experiencing this today. TIP 5 – Shift the atmosphere with music. Everyone needs a feel-good playlist. Think about a feel good AND motivational playlist that you can play when you need it. Mine includes ‘Mama’s and Papa’s – California Dreaming’. This is because I am always dreaming about going there so it motivates me as to what I am working towards. TIP 6 – Ask God for what you need. I spent time today asking God to fill me with motivation and joy. I know it’s a simple one, but prayer works. TIP 7 – Ideal thinking. If I feel unmotivated at the beginning of my day or at any time. I spend 5-10 minutes thinking up what the best possible rest of my day could be like. Quite often my heart’s desire is to finish a job, so I imagine the job done and done so well and so much better than I have previously thought. I imagine how I will feel when it’s done and what getting the job done will lead me to. I imagine it being fun to do and quicker than I anticipate. This one works really well. Do it and you’ll find yourself drawn towards this ideal outcome and working towards it with renewed gusto and motivation. This only works if you are honest and unrealistic in your imagining. So you need to think beyond what is realistic and towards an ideal outcome better than anything you have thought up before. This exercise points your brain and then your will in the right direction and helps shift you into a positive outcome better than before. TIP 8 – Take a frivolous break. I know I work too hard. Sometime a great motivator for me is to take a break in the middle of the work day doing something that I consider frivolous. I may watch a comedy half hour on TV, or waste half an hour internet window shopping. Or daydreaming. In a way it’s like giving yourself a treat that motivates you to get back to work. You may be someone that doesn’t work hard enough. If so, make your frivolous break the opposite, eg, a 60-minute power hour, getting as much as you can done then stopping. TOP 9 – Link what you are doing to your purpose. This final one is the most important one! You must know your purpose. You must know how what you are doing now links to this. Ask yourself; how is what I am doing now moving me towards what I truly want? If you can’t link it in any way, it’s time to rethink what you are doing and start planning a change! These are just a few of my tricks. What are yours? Do share below in comments. Let’s help each other get motivated!